What is your primary task as a member of your Toastmasters club executive committee and how to excel on that task so that your club can grow and make yourself a better leader. Fellow Toastmasters and guests, the app that you’ve waiting for has finally arrived. Introducing Speech Timer 2.0 for Mac OS X, iPad, iPhone, and iPod touch – and projectors too. Basil Salad Software announces the availability of Speech Timer 2.0 – the best oration timekeeper software. 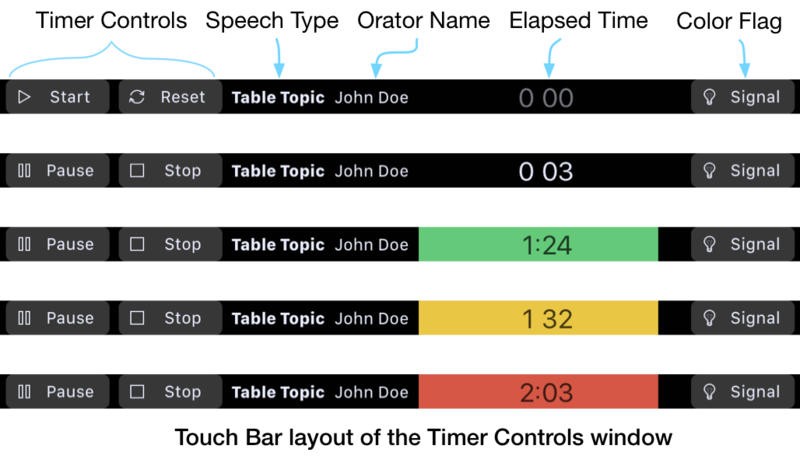 This second major release of Speech Timer includes native support for the iPad and Mac in addition to the iPhone. A sneak peek on Speech Timer 2.0’s icons – both Mac and iOS versions and how they were redesigned. Take a look on how Speech Timer’s icon evolved from it’s humble beginnings. Speech Timer 2 is arriving. Don’t be left behind – here’s the scoop and an opportunity to get a sneak peek at a beta. We’re re-designing our widely-used Toastmasters application for the upcoming iOS 7 and OS X Mavericks – out goes skeuomorphism so that you can refocus your eye on things that matter: your task and your content. Check out how we’re doing this. Speech Timer for Android Release!! I would like to announce Speech Timer for Android is finally LIVE!! I am so excited. Now Speech Timer is available for both iPhone and Android platform. But there are some minor differences. Here I will spill out the differences.